NSW Police have arrested a Sydney man after he was caught wearing a FCUK branded t-shirt. The offender – 27 year old Byron Shine – was seized upon by gun-wielding officers as he wore the FCUK branded t-shirt at Circular Quay last night. The part-time fashion model is currently being held in police custody. 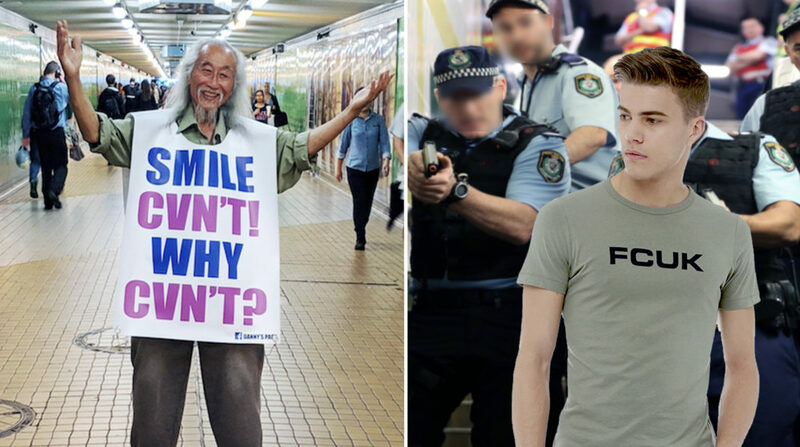 The arrest of the iconic activist Danny Lim – who smiles 24/7 – is being branded as ‘disgusting’ after footage of police restraining him emerged online. Thousands are expected gather in protest of the brutal arrest outside Sydney City Police Area Command at midday today.